Now that the holidays are over, it is time to focus on the next celebration in many homes – the Big Game Day Playoffs! 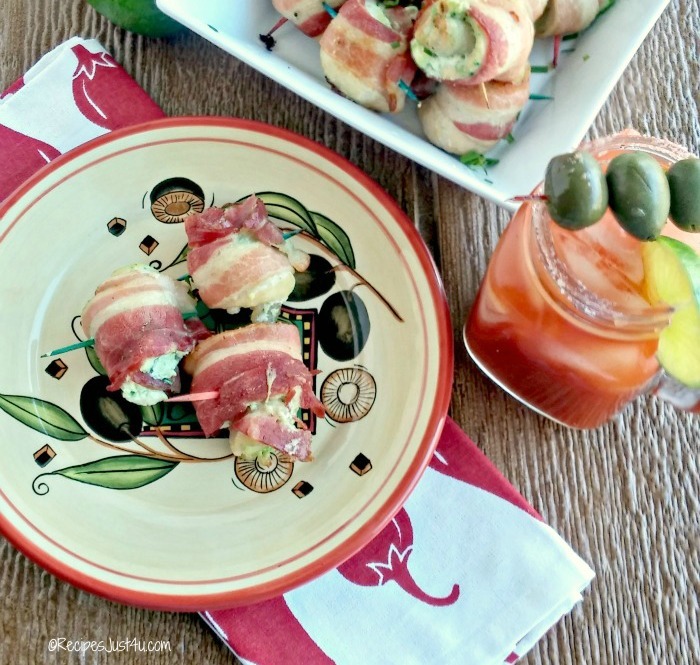 And what could be better for watching games when the weather is cold than a drink recipe and easy appetizers with just the right amount of Game Day Heat? Serve these chicken appetizers and the platter will be cleaned in no time! These Micheladas and Bacon wrapped chicken appetizers will provide some game day heat for the playoffs. My daughter recently decided that football is one of her favorite things to watch on TV. I thought it would be fun to come up with a couple of recipes to help make the watching a bit more fun for the playoffs. And since the weather is so cold now here in NC, I decided to feature two recipes that will make use of hot sauces as one of the main ingredients. I love pairing food and drink together in a way that compliments each recipe. For this year’s celebration, I chose to make a drink called a Michelada and decided to pair it with some spicy bacon wrapped chicken appetizers. Both of these recipes feature hot sauce, so be ready for some sizzle! I chose El Yucateco red hot sauce for the drink recipe and El Yucateco green sauce for the chicken. Both are salsa picante hot sauces made from habanero peppers. The El Yucateco red sauce is a tasty blend of habanero peppers, red tomatoes and a selection of fine spices and seasoning. It has a bit of a kick to it and is perfect for my Michelada cocktail. The El Yucateco green sauce is the mildest of the El Yucateco flavors but has a rich flavor and gentle heat will leave your taste buds asking for more. I feel that the green sauce goes so well with the chicken and bacon. Overall, the two are a wonderful combo and are sure to make your game night a huge hit. Both recipes have just a few ingredients, so I assembled them all together to get ready to cook up a fiery storm. You will also need a bottle of your favorite beer. 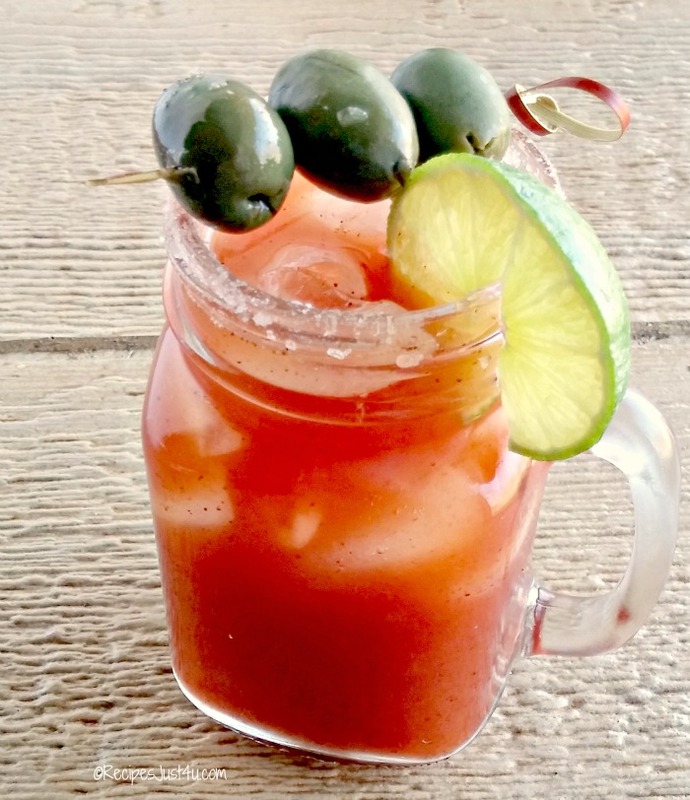 For those of you who do not not know, a Michelada is sort of a Mexican bloody Mary. But instead of using vodka, this time the drink is made with your favorite beer. This makes this a perfect drink for a chilly game night. Go team! Also perfect for Cinco de Mayo! I love the garnishes for this tasty drink. I used coarse pink sea salt and chili to edge the rim of the glasses and olives and lime wedges complete the party look. Drink up! I love to serve this drink in mason jar mugs. They add so much fun to the look of the drink! Now, we just need something to pair these chicken appetizers with this delicious drink. 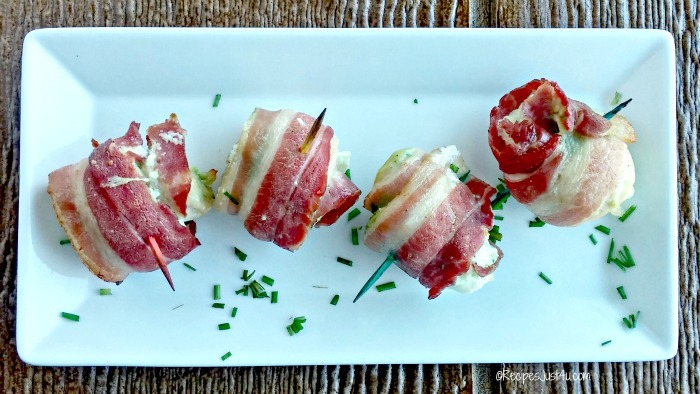 My party appetizers for the Game Day playoffs are these super tasty bacon wrapped chicken tender bites. 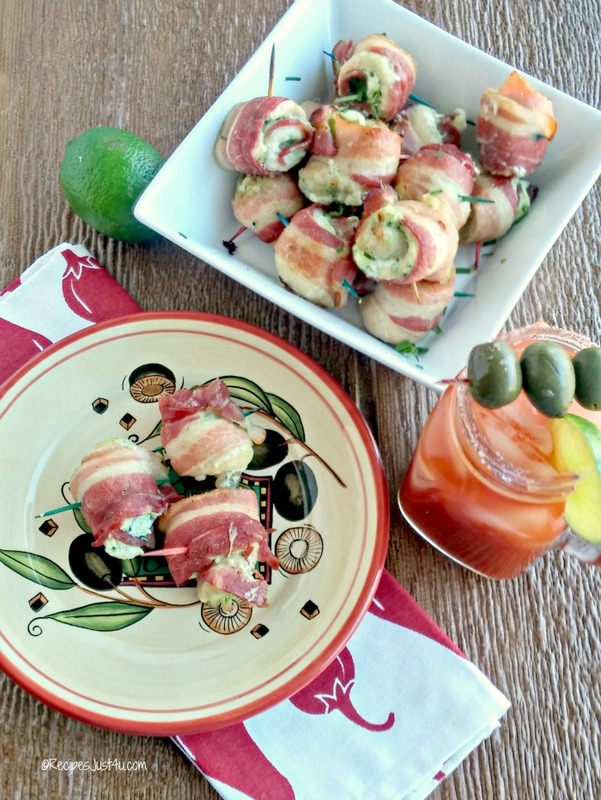 They are a scrumptious blend of cream cheese, chicken, bacon and El Yucateco green hot sauce. 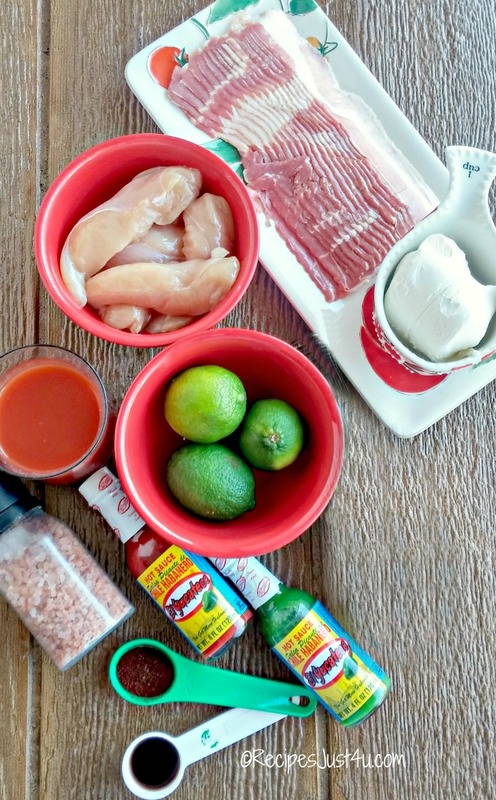 This sauce adds just the right bite to the chicken and pairs beautifully with the Michelada cocktail. Each of the little chicken appetizers is a scrumptious bite of creamy, spicy, and dare I dare I say delicious? I don’t want to brag, they really are so so tasty! If you want, you can add your favorite fruit flavored dipping sauce for a bit of extra party fun. I just love this combination of flavors. Both are spicy but the drink is tamed down a bit with the addition of the ice and the hot sauce and cream cheese on top of the chicken makes a fantastic combination. Neither are overly spicy, although they both have a kick to them. I find that spicy foods are super popular for Game Day. 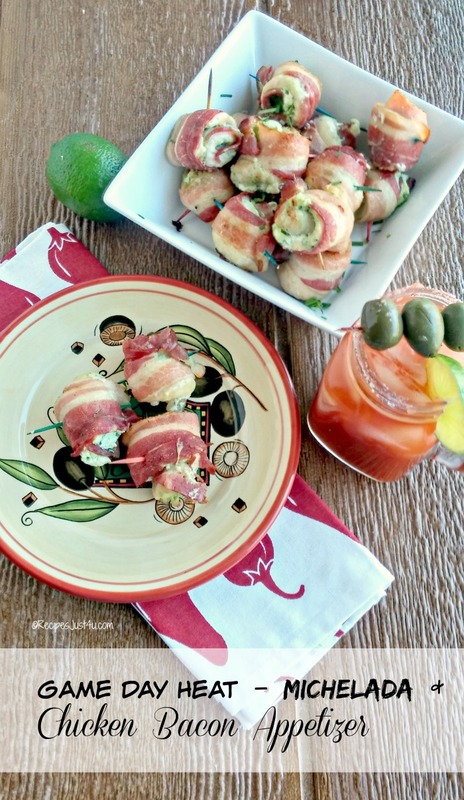 I just know that these two additions to my playoff party menu will be gone before I know it! 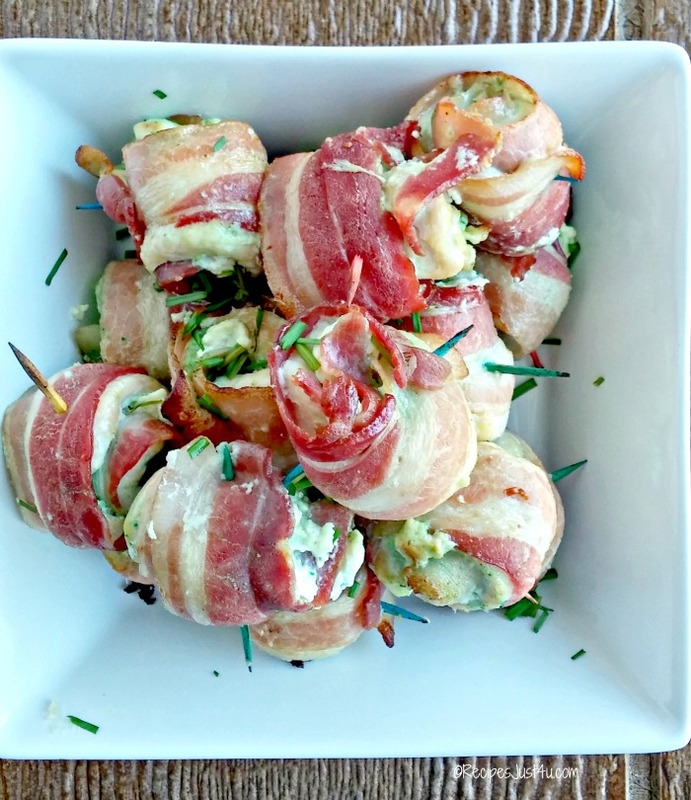 Would you like to recreate these Game Day chicken appetizers for your party? 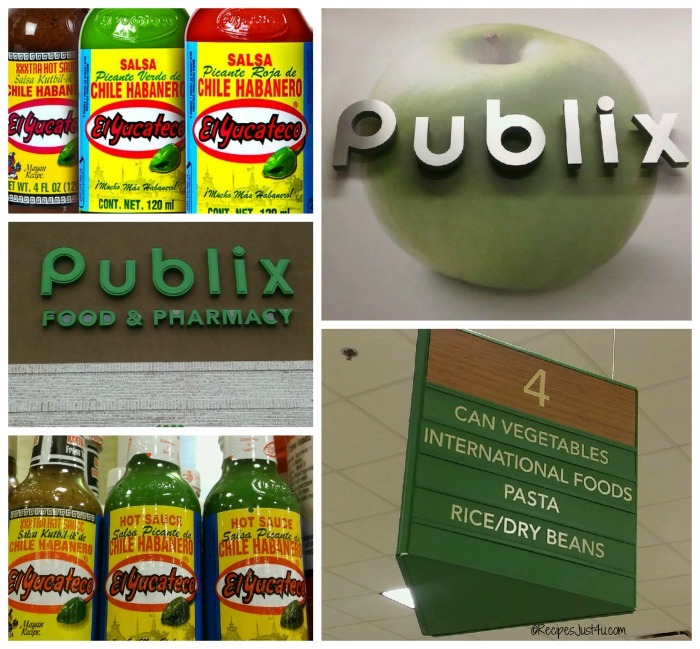 Head on over to your local Publix store and go to the International food aisle to get your El Yucateco hot sauces, then visit their produce and meat sections to complete the list. And for even more game day (and everyday!) fun, be sure to visit the El Yucateco Gear Shop for lots of fun hats, shirts and more. The gear store has a great range of men and women’s apparel that includes board shorts for the summer, hoodies for the winter and even embroidered shirts for a casual night out. What is your favorite recipe and drink to serve for your game day party? I’d love to hear about it in the comments below. Here are both recipes. Each one is on its own recipe card so that you can print them out easily. 1 - 2 tsp El Yucateco green hot sauce - depends on how hot you like your drink! Pour all the drink ingredients into a large pitcher and mix well. Fill each glass with ice. Pour the drink mixture over the ice. Flatten the chicken pieces with a meat tenderizer and then cut them in half. Line up the bacon pieces and place a chicken tender piece on each one. Top each piece of chicken with 1 teaspoon cream cheese and then drizzle with the El Yucateco green hot sauce. Roll up each piece of filled chicken/bacon, securing with a toothpick. Place the tenders on a rack in a a crock pot and cook on low for 3 hours. Then transfer the tenders to a baking sheet and place under the broiler until they are just browned. If you wish and are strapped for time, you can forego the crock pot and bake them for 20-25 minutes in a 400 degree oven, turning half way while cooking. I cannot wait to try that drink. It looks amazing! Anything wrapped in bacon gets my attention! It’s a prefect combo for the cold weather! You NEED to be calling me the next time you make this! I am sooo coming over! Thanks Adriana. It was a fun combo to put together.